The arbuscular mycorrhizal (AM) symbiosis has been shown to modulate the same physiological processes as the phytohormone abscisic acid (ABA) and to improve plant tolerance to water deficit. 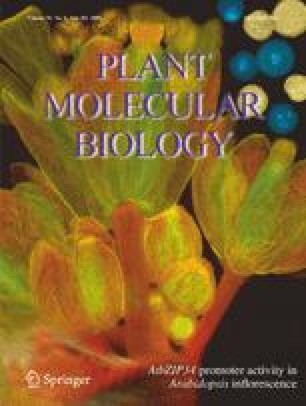 The aim of the present research was to evaluate the combined influence of AM symbiosis and exogenous ABA application on plant root hydraulic properties and on plasma-membrane intrinsic proteins (PIP) aquaporin gene expression and protein accumulation after both a drought and a recovery period. Results obtained showed that the application of exogenous ABA enhanced osmotic root hydraulic conductivity (L) in all plants, regardless of water conditions, and that AM plants showed lower L values than nonAM plants, a difference that was especially accentuated when plants were supplied with exogenous ABA. This effect was clearly correlated with the accumulation pattern of the different PIPs analyzed, since most showed reduced expression and protein levels in AM plants fed with ABA as compared to their nonAM counterparts. The possible involvement of plant PIP aquaporins in the differential regulation of L by ABA in AM and nonAM plants is further discussed. This work was financed by CICYT-FEDER (Project AGL2005-01237). R. Aroca was financed by Spanish Ministry of Education and Science throughout the Juan de la Cierva program. We thank Dr. F. Chaumont (Université Catholique de Louvain) for providing us with antibodies against ZmPIP1;2, ZmPIP2;1, ZmPIP2;5 and ZmPIP2;6.